Our Featherbed are the same as those used in the Swiss Alps. The most important thing to look for in a featherbed is its weight and construction. Without proper weight it will not have the density to support your body. We make one of the heaviest featherbeds in the entire industry; we compute our weight in pounds, not ounces. 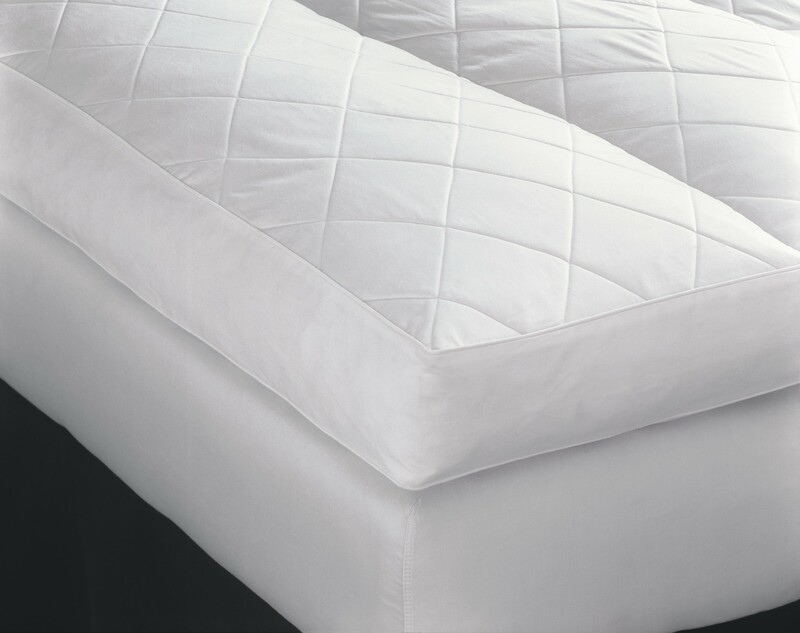 Our featherbeds are covered with a quilted top super strong 100% cotton. They are constructed with vertical channels that have 6" baffle walls; this limits the shifting without the loss of fluffiness. For durability we use a fill of 95/5 feather and down mix. A removable cotton washable protective cover is included.